Image credit & copyright: China Daily. 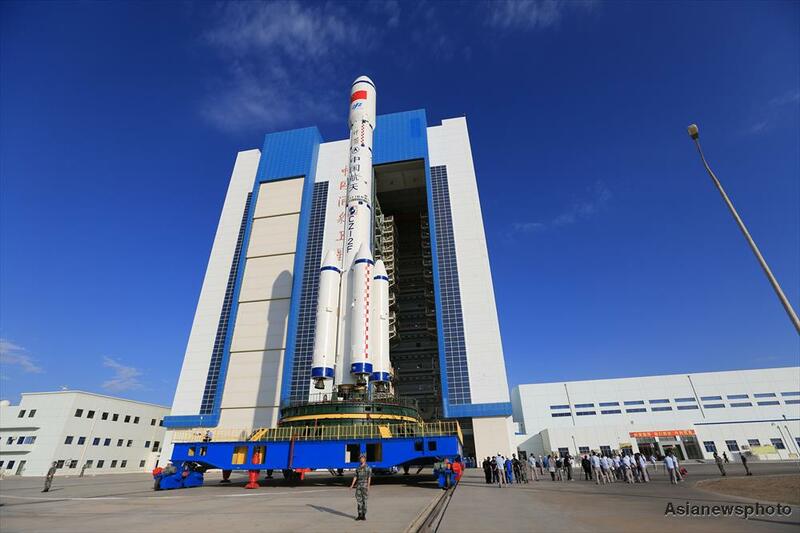 Thursday, September 15, 2016 at 10:10 EDT (14:10 UTC) China’s national space agency will be launching a Long March 2F rocket carrying the Tiangong 2 “Heavenly Palace” mini space station into low Earth orbit (LEO) from the Jiquan Satellite Launch Center in China’s Gobi Desert. 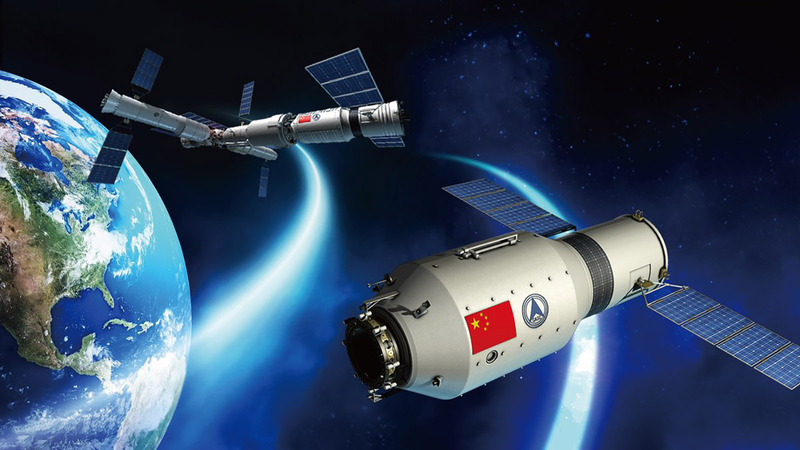 The 47 ft., 20 metric ton, Tiangong 2 “Heavenly Palace” mini space station is a working prototype for the next generation of Chinese space stations. 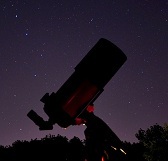 It will be placed at an altitude of 393 km (244 mi.) where it will await the crew of Shenzhou 11 spacecraft which is slated for launch around mid-October. The 2 person crew will be able to remain on Tiangong 2 for up to 30 days. This will be the 10th flight of the Long March 2F (CZ-2F) launch vehicle. China’s Long March 2F (CZ-2F) rocket is a prominent member of the Long March rocket family and is primarily responsible for human spaceflight (Shenzhou Program) as well as launching Tiangong 1 and 2 mini space stations. The Long March 2F is a two stage, four booster launch vehicle that stands 58.34 m (191.4 ft.) high and is 3.35 m (10.9 ft.) in core diameter. Liftoff mass for this vehicle is 479,800 kg (480 metric tons) and can deliver a payload of up to 8,400 kg (8.4 metric tons) into low Earth orbit (LEO). The Long March 2F Launch Abort System can be triggered manually or automatically in the event that taikonauts on board need to be evacuated from the launch vehicle. The launch abort system can be used from T-15 minutes to 160 seconds into flight. The Long March 2F second stage is 15.5 m (50.8 ft.) long and 3.4 m (11.1 ft.) in diameter. It is powered by a single YF-25 engine as well as four YF-23 Vernier Jets utilizing Unsymmetrical Dimethylhydrazine for fuel and Nitrogen Tetroxide for the oxidizer and can burn for 300 seconds. The Long March 2F utilized four strap-on boosters, each 15.3 m (50 ft.) long and 2.3 m (7.5 ft.) in diameter. They are each powered by a single YF-20B engine utilizing Unsymmetrical Dimethylhydrazine for fuel and Nitrogen Tetroxide for the oxidizer and can burn for 128 seconds. The Long March 2F core stage is 28.5 m (93.5 ft.) in length and 3.35 m (10.9 ft.) in diameter. It’s powered by four YF-20B main engines utilizing Unsymmetrical Dimethylhydrazine for fuel and Nitrogen Tetroxide for the oxidizer and can burn for 166 seconds. Image | This entry was posted in Images, Launches, News, Spaceflight Companies & Vehicles and tagged Chang Zheng, China, CZ-2F, CZ2F, Heavenly Palace, Long march, Long March 2F, Long March Rocket, LongMarch2F, Space, Space Station, Spaceflight, Tiangong 2. Bookmark the permalink.